[Editor’s Note (2015) – The author of this piece was James Sprunt. This article was later published (1916) in his book, Chronicles of the Cape Fear River, 1660-1916. His name is the Reverend James William Craig, Methodist Preacher, but I like to think of him as Jim Billy, the Cape Fear pilot of war times, on the bridge of the swift Confederate blockade runner Lynx, commanded by the intrepid Captain Reed. . . . My shipmate, Jim Billy, is growing old, and so am I.
I was born in May 1840, and piloted my first vessel into the Cape Fear River when I was seventeen years of age. At that time Mr. P.W. 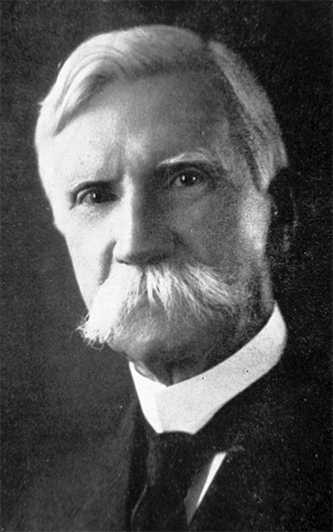 Fanning, of Wilmington, was chairman of the Board of Commissioners of Navigation and Pilotage, and the present custom of issuing branches or licenses was not in vogue. I acted under the protection of my father, who was a branch pilot; in other words he was permitted to carry in vessels of any depth suitable for the water then available. I was an apprentice with him. When the war broke out I was twenty-one years of age, and in view of certain circumstances favorable to my reputation, I was given by the Board of Commissioners of Navigation and Pilotage a license for twelve feet, the laws having been changed a year or two before the war in respect to the method of issuing licenses. My father, James N. Craig, lived a short distance from Fort Fisher on the river side at a place called Craig’s Landing, and his house and landing were both used later by the commander of Fort Fisher, Col. William Lamb, who was so intimately engaged with my father that he gave him general charge of the duty of setting lights for the benefit of blockade runners, under certain restrictions which had been provided. I was therefore engaged for nearly two years after the outbreak of the war in assisting my father, and became more familiar with the channel and the approaches of the channel than many other pilots who had not the opportunity of sounding, as we had frequently, under government instructions. The first proposal made to me to take a ship through the blockade was by Captain E.C. Reed, commander of the celebrated cruiser Sumter. This vessel had been dismantled of her guns on account of her slow speed and general unfitness for a cruiser, after her destruction of many vessels of the enemy, and she was sent into Wilmington with a cargo of war stores, conspicuous among which were two enormous Blakely guns, which were subsequently used in the defense of Charleston. After the discharge of the cargo at Wilmington the Sumter was loaded with cotton, and Captain Reed brought her down to Old Brunswick landing and anchored, before he made arrangements for the engagement of a pilot to take him out. In coming into the Cape Fear, Captain Reed had, through a successful ruse, passed through the blockading fleet by hoisting the US. ensign and pretending to be one of the fleet. The blockaders did not discover his true character until he was under the guns of Fort Fisher, and consequently they were very eager to capture him on his voyage outward. At that time of the tide it was impossible to take over the Rip Shoal or across either of the bars a ship drawing more than eleven feet. The Sumter drew eleven feet of water and grounded repeatedly in attempting to go out. Captain Reed offered me $1,000.00 in gold if I would take the ship out successfully and reach Bermuda, where he would discharge me and proceed to England with his cargo. I made several ineffectual attempts to get the Sumter outside, but owing to the lack of water and the vigilance of the blockading fleet, we were baffled repeatedly. At last I took her out successfully over the New Inlet bar, the fleet in the meantime having concentrated at the western bar, expecting to capture her there, and Captain Reed subsequently told me that he proceeded to Bermuda and to England without sighting a single hostile vessel during the whole voyage. A short time after that I piloted the steamship Orion in over New Inlet successfully, that vessel having arrived off the bar without a pilot, and very luckily for the ship as well as for me, hailed me while I was setting some lights for another vessel, the Cornubia, ready to go out in charge of pilot C. C. Morse. Some months afterwards a very fine blockade runner called the Don, under command of Captain Roberts, (whose real name was Hobart, a son of the Earl of Buckinghamshire, a Post Captain in the British Navy and who had obtained leave of absence in order to try his skill at blockade running), was brought successfully to Wilmington by pilot St. George, who was there taken sick and I was requested to assume his place. On my return to Wilmington in the Don, I relinquished this vessel to her former pilot, St. George, and made a contract with the agent in Wilmington, of a firm which owned a number of blockade runners – a notable one being the Hansa – to pilot any vessels which he might designate and be subject to his orders at any moment, the term of engagement being three months. Immediately afterwards, I was ordered to proceed to Nassau in the blockade runner Fanny (formerly the Orion), and report to Captain Watters, of the blockade runner Annie, for duty on that ship. I remember that we left in the Fanny on Saturday night and arrived in Nassau before daylight on Tuesday morning, where I found the Annie loaded and ready for sea and waiting for me. We accordingly left about 4 o’clock that afternoon and arrived without incident inside the Cape Fear bar on the Friday night following. I made a second voyage through the blockade in the Annie, passing within a cable length of two of the Federal fleet, who failed to observe us. We again loaded the Annie in Nassau and cleared for Wilmington, but fell in with a hurricane shortly afterwards and were obliged to heave to for about forty hours, during which we lost our reckoning, and failing to get observations for three days, waited until the gale subsided and then anchored the ship in smooth water, by a kedge, until the captain succeeded in getting an observation of the North Star, by which he worked out his position, we then shaped our course straight for the blockade fleet off Fort Fisher. At that time, and subsequently, it was the custom for the Flag Ship of the blockading squadron to carry a large light, and, this being the only one visible, served the purpose of guiding the blockade runners until they could get the bearings of the Mound Light. .. .
My term of three months service having expired, I was proceeding in my skiff from Craig’s Landing to Wilmington when I was overtaken by a very swift blockade runner, with two rakish funnels, a perfect model of its kind, called the Lynx, and, having been given a tow line, climbed aboard and found, to my great surprise and delight, that the ship was commanded by my old friend Captain Reed, who immediately requested that I would arrange to go with him, as his engagement of a pilot was only for the voyage inward. To this I consented, on condition that Gen. Whiting would approve of it, and I received a few days afterwards a telegram to go on board the Lynx at Fort Fisher. I was in a hurricane on this ship, in which she fared badly, her paddle boxes, sponsons and bridge deck having been partly washed away, but we at last limped into Bermuda, and, after repairing damages, proceeded again to Wilmington. The longest chase of which I was a witness during the war, occurred while I was on the Lynx, which was chased by that very fast cruiser Fort Jackson for fifteen hours. The Fort Jackson’s log and official report subsequently showed that she was making sixteen knots an hour, which at that time was considered phenomenal speed, (the average blockade runner seldom exceeding fourteen knots an hour), and on this occasion I remember that the safety valves of the Lynx were weighted down by the iron tops of the coal bunkers, which of course imperiled the life of everyone on board, but increased the speed of the Lynx to more than sixteen knots an hour and enabled her ultimately to escape. 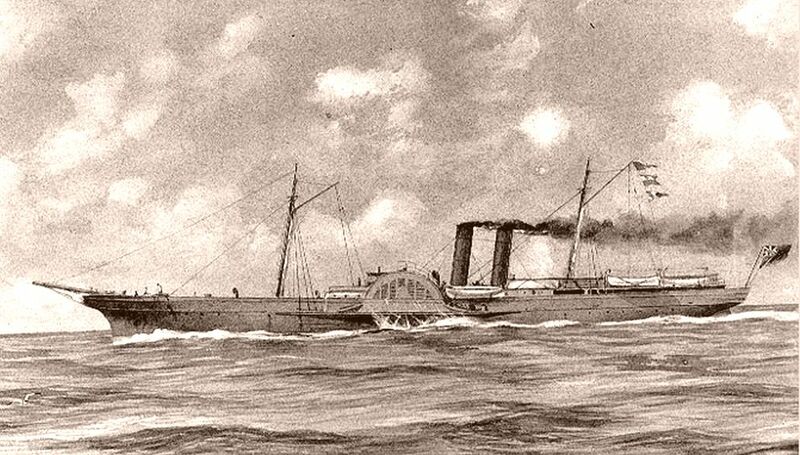 After making two round passages in the Lynx and running the blockade four times in this vessel, several times under fire, I joined at Wilmington the Confederate steamer Lilian, under the following peculiar circumstances. Quite a number of the Wilmington pilots had been captured by the enemy, and the force available for ships waiting in Bermuda and Nassau, belonging to the Confederate Government, was greatly reduced in consequence thereof. The regular pilot of the Lilian was Thomas Grissom, and I was one of four extra pilots, (the three others being Joseph Thompson, James Bell and Charles Craig), who were ordered by Gen. Whiting to proceed to Bermuda and take charge of certain ships to be designated by Major Norman S. Walker, the Confederate agent at that port. Trouble began before we got outside. An armed barge from the fleet had come close inside the Western Bar and lay in our track in the channel, and, immediately upon our approach, sent up a rocket and fired a gun, which was instantly answered by the whole fleet outside and I remember that we crossed the bar in a bright flash of Drummond lights and rockets which made the night as bright as day. Every one of the blockaders was firing at or over us as we headed out to sea and when next morning dawned which was Sunday, we had just succeeded in dropping the last of the cruisers which had chased us all night. We were congratulating ourselves after breakfast that morning that we would have a clear sea towards Bermuda and by the way the sea was as smooth as glass, when the lookout in the crow’s nest reported a vessel of war ahead, shortly afterwards another on the starboard bow, and a little later a third one on our port bow, and in a few minutes a fourth one on our beam. We had unfortunately run into the second line of blockaders, called the Gulf Squadron, and it was not more than two hours before they were all in range and pelting us with bomb shells. The chase lasted until half past one in the afternoon when a shell from the cruiser on our starboard beam, called the Gettysburg and which was formerly the blockade runner Margaret and Jessie, struck us below the water line, making a large hole through which the water rushed like a mill stream. All our efforts to stop the leak with blankets were unavailing. We had previously thrown over our deck load of cotton, but it was impossible to reach the hole from the inside, as the hold was jam of cotton, and in a short time the vessel began to steer badly and gradually sank almost to the level of the deck. Finding further efforts to escape utterly fruitless, our Captain stopped the ship and surrendered to the boats which immediately surrounded us. I remember that when the ship was hove to and the Federal officers came on board, our sullen and dejected commander was standing on the starboard paddle box, with his arms folded and his back turned to the approaching Federals, when one of them, with a drawn sword, approached and asked if he was in command of the ship. Captain Martin responded with an oath: ‘I was commander, but I suppose you are captain now.’ Although every effort had been made to escape, those of us who knew Captain Maffitt, the former commander of the Lilian, regretted very much his absence on this occasion, as he would most likely have been more fortunate in getting away. Knowing how eager the Federals were to identify the pilot of the ship, they being in blissful ignorance that there were no fewer than five Wilmington pilots on board, we all agreed to personate firemen or members of the crew, and succeeded in passing ourselves as such. Subsequently all of us escaped except the ship’s pilot, who was detained at Point Lookout until the end of the war. Our ship’s company numbered forty-eight men, and now, after a lapse of forty-seven years , we two, James Sprunt, purser, and J. W. Craig, pilot, are the only survivors of them all. After our escape from prison, we made our way to Halifax, Nova Scotia, through the medium of some gold coins, which I fortunately kept next to my body in a waist band and which paid the passage of four of my companions, including Mr. Sprunt. I pointed the steamer Bat at Halifax, and proceeded as pilot of her to Wilmington. When off the bar, and in the midst of the blockading fleet, which was firing heavily upon us, my captain lost his nerve, and notwithstanding my expostulations, persisted in stopping the Bat. The cause of the captain’s excitement was due to this remarkable incident: one of our sailors was a survivor of the desperate battle between the Alabama and the Kearsarge off Cherbourg [France] some months before, he having served on the Alabama, but, instead of proving to be, as might have been expected, a very brave man under the fire of the blockading fleet, he became terrified and hid himself far forward under the turtle-back in the eyes of our ship as he could squeeze himself. During the firing of the fleet a shot struck the exact spot where this poor fellow was hiding and cut off his leg, causing him to utter such shrieks as to demoralize our captain, who ignobly stopped and anchored his ship in the midst of the enemy, when he might just as well have gone on, with less risk of destruction. The ship that boarded us that night was the US. steamer Montgomery. For the second time I was made a prisoner of war, under the following circumstances, which I have never mentioned but once. Before I became engaged in the blockade running service, I was acting as mate on the Confederate steamer Flora McDonald, a transport on the Cape Fear river, and when the Confederate privateer Retribution sent a prize schooner into Wilmington which she had captured at sea, in charge of one of the Retribution‘s officers named Jordan, who had shipped with Captain Joseph Price in Wilmington, I assisted in towing that vessel from the bar to Wilmington. . . . When I was captured by the Montgomery, I was taken to the Portsmouth navy yard, when we were boarded by a Federal officer in a Captain’s uniform, who proved to be none other than my quondam Confederate Jordan, who had gone over to the enemy, and who immediately recognized me and informed against me. I was then put in irons and sent on board the US. man-of-war Sabine, where I was most kindly treated by its commander, Captain Loring, and while a prisoner on his ship I was repeatedly approached by the Federal officers, who offered to pay me any sum I would name if I would join their fleet Fort Fisher and take part as a pilot in their attack against my home. I told them that the United States Government did not have enough money to induce me to accept such a proposition, and I accordingly remained a prisoner at Point Lookout until after the war was over. I may add that while I was a prisoner on the Sabine, two of the Cape Fear pilots, C. C. Morse and John Savage, were brought on board as prisoners, under suspicion of being pilots, and, although they were intimate friends of mine, I took particular pains to treat them as total strangers and paid no attention to them, lest it might get them into further trouble. They were much relieved when they discovered my purpose. Savage was subsequently released, but Morse, having been identified later by some other means, was made a prisoner with me until the end of the war. The monotony of prison life so few incidents worth mentioning that this experience is hardly worth recalling, and yet, I remember some diversions, which gave us much merriment at the time. While our friends of the Lilian were confined for several weeks in a casemate of Fort Macon, that garrison consisted of what the Yankees called the First Regiment of North Carolina Volunteers. . . . Every day an officer and guard took us outside our gloomy casemate and permitted us to stretch our legs along the beach, while we gazed with longing eyes across the intervening sound to Dixie’s Land. The marsh grass was of sand fiddlers, which scuttled away at our approach. Another daily experience was the persistent, though unsuccessful, effort of the officer of the day to tease out of our young purser, James Sprunt, whom he thought an easy mark on account of his youth (17 years), a betrayal of our pilot, little dreaming that we were five Wilmington pilots. A warm attachment began in that prison life, between Mr. Sprunt and myself, which has been true and steadfast through all these intervening years. We little thought then that our lives would be so long united in the bonds of Christian fellowship and commercial enterprise. During my subsequent confinement on the Sabine as a prisoner of war, a large number of blockade runners who had been captured at sea were brought to that school ship for confinement, and Captain Loring tried in every way to surprise those suspected of being pilots into an admission of the fact. One fine day, while the prisoners were lying on the deck, Captain Loring, looking like an old seadog, and hearty, paced up and down among them, and suddenly, turning on his heel, he called out: ‘All the North Carolinians stand up ..’ [torn page] eyes over a number [torn page] themselves, but not a man stirred, and old Loring, who was really a good fellow and kind to us, went on his way. And I hope it may not be amiss in the conclusion of these reminiscences to allude to the fact that, although I have been all these years engaged as a Cape Fear pilot, in the duties of my vocation, it has pleased God to call me also to the higher duty of preaching His Gospel, as a Methodist Minister, and to make me the humble instrument, in His Hands of guiding some of my fellow men to their eternal rest, as I have guided the ships to the haven. .